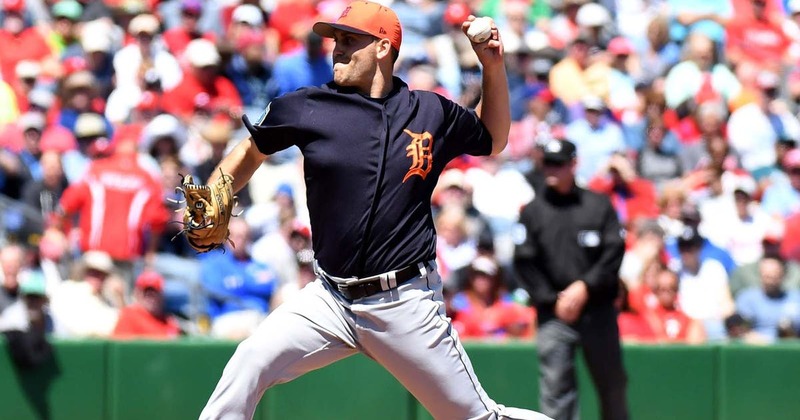 CLEARWATER, Fla. (AP) — Three pitchers were ejected along with Philadelphia manager Gabe Kapler and bench coach Rob Thomson as three batters were hit by pitches during the Phillies’ 6-2 exhibition loss to Detroit on Thursday. Detroit starter Matthew Boyd and Philadelphia relievers Parker Frazier and Pedro Beato also were tossed by plate umpire Tom Hallion. Boyd was ejected in the fifth inning following a two-pitch sequence to Odubel Herrera. Herrera appeared to get out of the way of the second pitch. Hallion determined the ball hit him on the hand. Frazier and Kapler were tossed after the minor leaguer hit Derek Hill with a 76 mph pitch in the eighth. Beato and Thomson were ejected after Dylan Rosa was hit in the ninth.